While WTM ended a month back, we are still recovering from its success. 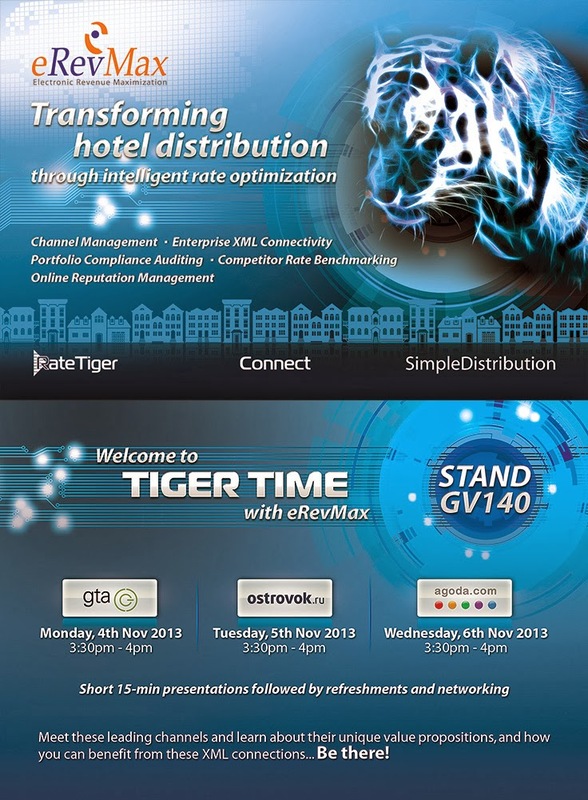 The TigerTime sessions we organized with leading OTAs proved to be a hit at WTM 2013. The sessions generated significant interest among the travel industry with a ‘standing room only’ turnout. Agoda, GTA and Ostrovok – all part of the eRevMax Channel Ecosystem – delivered relevant presentations to hoteliers looking for superior connectivity, new distribution markets and updates on new technology developments. “TigerTime by eRevMax was the perfect platform for us to present our value proposition to a varied set of attendees. It helped us showcase how hoteliers can benefit from our advanced XML connectivity and how they can reach out to our diverse client base. Apart from being a great branding exercise, this platform put us directly in touch with key decision makers who can understand the value of our offerings and with whom we can take our business forward,” said Pavel Babenko, Director for International Markets, Ostrovok.